This exciting story was suggested to the author by Dr Edward Short. 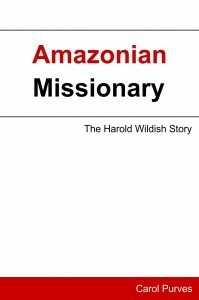 Edward remembers walking with Harold among the Mendips after this great man had left the Amazon and was becoming well known in the American evangelist world. As Harold had so many adventures in his life, it seems a pity that they should sink into obscurity. Today we can be inspired by his courage in the Amazon to go where white man had not been before and endanger his life for his Lord. In the days of Harold the Amazon was largely unexplored and many dangers lurked. There is no doubt that his endeavours had a lasting legacy. Harold was then faithful in evangelising in the area now known as the West Indies. There must be many today who have been influenced by his message and whose lives have been turned about. The prayer is that there will be others who will continue in his footsteps in the many and varied parts of the world where the Lord calls them today. Different circumstances, same message.